"Traditional Values - up-to-date knowledge"
The Stroke Association is the UK’s leading stroke charity. We believe that together we can conquer stroke. We work directly with stroke survivors and their families and carers, with health and social care professionals and with scientists and researchers. We campaign to improve stroke care and support people to make the best recovery they can. We fund research to develop new treatments and ways of preventing stroke. A stroke is a brain attack which happens when the blood supply to the brain is cut off, caused by a clot or bleeding in the brain. There are around 152,000 strokes in the UK every year and it is the leading cause of severe adult disability. There are more than 1.2 million people in the UK living with the effects of stroke. We’re extremely grateful to Mitchells Solictors for choosing to support the Stroke Association. The funds raised will go a long way in supporting stroke survivors and their families, as they come to terms with a life after stroke. For more information about stroke and how you can support our work, ring the Helpline on 0303 30 33 100 or visit www.stroke.org.uk. If you or someone you care about has had a stroke, our Life After Stroke Support Service in York can provide practical advice, essential information and emotional support. 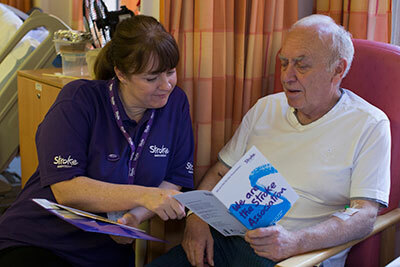 We work closely with stroke survivors of any age, carers and family members. We’ll help you to set your own goals and help you achieve them, to make sure your needs are met as you return to life after a stroke. For more information about the support we provide in York, contact the team on 01904 414 765. Copyright © 2019 Mitchells Solicitors. Solicitors Regulation Authority. SRA No 52339. VAT No 332 3459 73.
you may be entitled to use an EU online dispute resolution service to assist with any contractual dispute you may have with us.